With the German war machine led by Adolf Hitler at its peak in 1943, the English were desperate for solutions. The British Royal Air Force (RAF) had pushed the Germans back, but bombings on English towns continued. The German defense was impenetrable. Something bold and courageous had to be done. Barnes Wallis, a British engineer responsible for the design of twin bombers, had an idea. 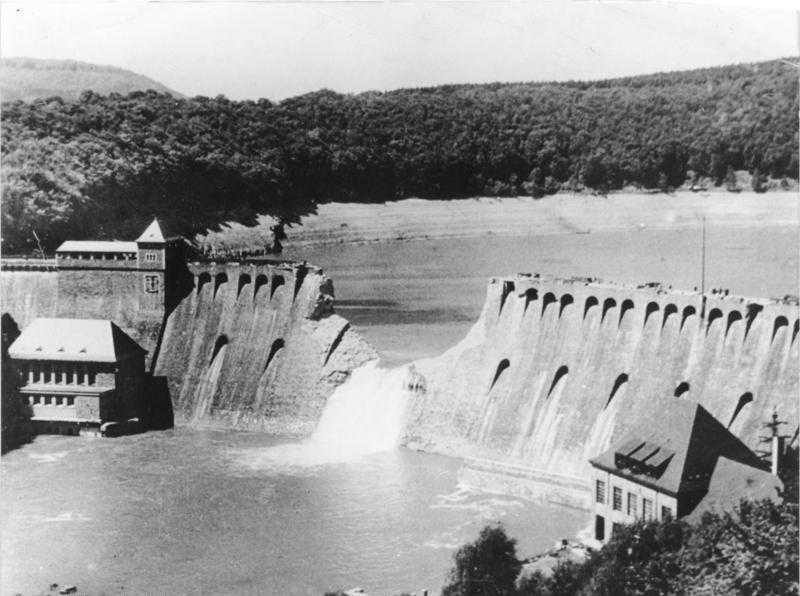 Wallis proposed targeting dams, whose reservoirs fed water to the German steel industry, in the hope that a well-executed attack could cripple Germany's weapons industry. But there was a problem. German dams were protected by torpedo nets. Wallis recalled a childhood pastime of skimming pebbles on the surface of water. He suggested building a bomb that would spin as it was released, bouncing off the surface of water and exploding as it hit the walls of the dam. As you guessed, this was no easy feat! First, suitable bombs to be designed. However, more importantly, planes would have to drop the bomb from just 60 feet above the water surface for the bomb to skim across the surface - not an easy feat considering it is hard to control a heavy bomber plane at such low an altitude. An elite team of pilots were summoned and the 617 squadron was born. After several months of training, it was time for the top secret mission code named Operation Chastise. Three dams were identified -- the Moehne, the Eder and the Sorpe in Germany. If the attackers could breach one dam, it was worth the effort and two a bonus. Everyone knew how dangerous and costly the mission would be. In the dead of the night on May 16, 1943, nineteen planes set off for their targets, dodging anti-aircraft fire from the Germans. Only eleven returned. Two bombs managed to hit their targets on the Moehne and the Eder dams, however, the damage was not significant. The Germans managed to repair the dams in three months. However, the daring nature of the attack was enough to boost the English morale. Last week, on the 70th anniversary of the attack, bombers carried out low flights over the Derwent reservoir in England where the dambusters had trained. Only one of the original 133 pilots -- 96-year old Les Munro is still alive.